HAVANA – Wednesday, December 5, 2018, may be remembered as one of those opportune days that proves that there is always time to change and do the right thing. In an unusual decision, especially because of the sensitivity of the issue, the Cuban authorities reversed some of the regulations related to Self-Employment Work (TCP) announced in July and that would take effect on the seventh of this month. From the start, when some of the new policies were announced, there was a rash of discontent from many, including the academic sectors. It awoke an activism that prompted the attention of the authorities to the measures that were understood as legitimate concerns of those sectors. Specifically, the possibility of performing more than one of the approved work activities has been maintained. Likewise, limiting to 50 chairs the maximum allowed in coffee shops, restaurants and bars has been scrapped. From now on, the limit will be determined by the capacity of the premises in question. Another highly sensitive issue, business bank accounts are still required, but with greater flexibility and depending on the business’s size and impact. Specifically, the minimum balance required was reduced and the amount of cash that can be retained for different uses without depositing in the bank has been increased. This step taken by the Cuban government must be recognized as just, and must be considered proper, necessary and courageous in the current socioeconomic conditions of the country. The president himself deserves credit for publicly recognizing the harmful effects of those decisions, requiring his ministers to explain the changes in a public program, and giving real meaning to the much vaunted concept of “collective government” or of the people. The decision comes at a delicate economic moment. Cuba did not need another unnecessary blow that further undermines its battered economy, or destroy jobs when there are no resources or policies to create them in other sectors. In the past I have divulged several analyses explaining in detail the weakness of the arguments made to justify the changes in the regulatory framework and the process followed in order to “perfect” the process. In this latest episode, both content and form suffered from an indefensible fragility. The decision-making process that included the most minute of circumstances contained serious problems from the very beginning: a policy of “perfecting” self-employment that has not been shared with the public. In addition, the effects of those regulations would have contradicted the letter and spirit of the documents adopted at the request of the VII Congress of the Communist Party of Cuba in 2016, and several of the articles of the new Constitution project. The credibility of what shaped them would have been seriously damaged. It seems an insurmountable contradiction to encourage foreign investment while placing all types of obstacles in the way of productive activity at home. If workers involved in social and government services are not taken into account, for example, there is no longer much difference between the non-state sector and the state business sector — they are less than 200,000 workers. A rational economic policy would assume this reality and try to find ways to give them fair consideration in the development of the country’s perspective. Instead of collecting opinions of sectors directly involved after drafting the regulations, the consultation could be conducted during the preparation process. Moreover, one could think of going further by fully recognizing the stakeholders as legitimate interlocutors. The Cuban government would not be weakened during this process and therefore should not fear it. Quite the opposite. 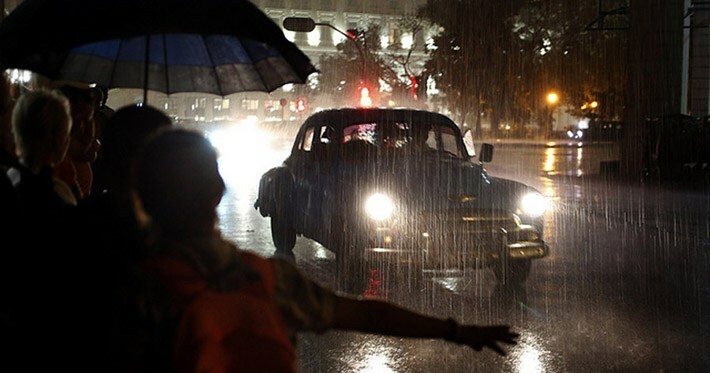 Cubans do not require approval to make demands of their government; it is their right as citizens. Consultations with “experts” and “temporary work groups” are necessary, but they do not replace the broader dialogue. This situation acquires full meaning when it leads to modification of guidelines at the point of departure. Timely rectification is not a sign of weakness, the president has said. Why should it be? The Cuban government should know that the vast majority of citizens welcome initiatives of this type, and that this most recent step has the approval of a large proportion of the Cuban population. It is worth noting, however, that complaints of tax evasion, and the purchase of stolen or ‘shady’ goods are common concerns anywhere in the world. Self-employment in Cuba is part of a larger system whose failures can not be assumed only by this sector. That said, we must not forget that the corrections only return us to a situation similar to that of August 2017. And a year and a half has passed and many projects have been postponed or permanently buried. Cuba does not have the time to wallow for 18 months in an unnecessary and counterproductive trap. The impression that it gives is one of improvisation and haste. The fact is that the challenges are so great that these blunders do not place us in a good position to deal with them. Hopefully, we will have learned our lessons. Unfortunately, not all inconveniences met the same fate. Those in the transportation industry were not so lucky. Beyond endless and senseless explanations, the truth is that the dysfunctional public transport system in the capital is in one of its worst moments. It is surprising that, after 60 years, efforts are being made to alleviate tensions by mentioning the imminent incorporation of new vehicles to the fleet that serves Havana. How many different generations of buses have traveled the avenues of this city and country? Time and again it has been shown that much more than resources from who knows who are needed to straighten out this mess. What policies have left us with an old, inefficient fleet, that contaminates us and is uncomfortable? The truth is that the result leaves us with no effective alternative — either public or private. Self-employment’s path forward could have been applied when reconsidering the approach to transportation. I believe it’s a missed opportunity. The moment was propitious, given the well-known malaise in other areas of our society. The president’s stand has been legitimized and backed. But much remains to be done. The lack of a comprehensive vision and the resolve to leave behind stagnant notions are the biggest problems facing the Cuban government. They must do so to revitalize the country’s future that can be shared by the majorities, and where there is a reasonable chance of succeeding in the world of the 21st century. The overwhelming majority of the changes introduced constitute new restrictions on the exercise of these activities. We may recall that in 2010 it was decided to resume “cuentapropismo” (as self-employment is known on the Island), despite the fact that in the 2000s a policy begun in 1993, when the country’s economy hit rock bottom during one of its worse economic crises in decades, was reversed. That step back caused many personal and family projects to be postponed or to be truncated forever. In other words, we’ve been here before — and to no one’s satisfaction. The best example of this is that it was resumed with new vigor as the key ingredient of the current reform. But today, as then, it is difficult to understand the step backward, unjustifiable except for reasons very alien to the development needs of a country like Cuba. The new course taken has negative repercussions at the socioeconomic level. In an economy facing a precarious fiscal scenario, millions of pesos were lost in taxes not collected when the State stopped issuing new licenses on August 1, 2017. Cuentapropistas pay an array of taxes which include a sales tax, and taxes for the labor force, personal income and social security. And although data is not available that shows the amount of their contributions, it can be assumed that it represents an overwhelming part of the personal income taxes paid, based on the explosive growth of taxpayers until 2017; numbers that had tripled since 2009. And yet, budget revenues (personal income tax) grew more than 4.8 times. On this basis, we can estimate a minimum loss (given that other taxes have not been considered) in the order of 900 million pesos. To put it in perspective, this amount is almost equivalent to what was spent on community projects and personal services in 2016. The issuance of the new licenses is scheduled for December 7, 2018, after a 16-month moratorium. Its affect is expected to be permanent since many of the new measures are meant to deter, and those who already possess licenses will be even more cautious before investing additional resources in a situation of great uncertainty. Another greatly affected area is employment. There was a potential loss of thousands of jobs when the opening of new businesses was stopped. At the same time, it created much uncertainty for businesses that were already operating. The imposition of new barriers affects new applicants. It also grants dubious preferences for those already in business. Those already in business will likely face less competition weakening incentives to improve efficiency or innovation. Less competition not only creates an undesirable effect on prices. In most cases, the public sector does not have the capacity to replace the goods and services produced by this sector. It therefore helps to increase prices and helps erode the purchasing power of the citizenry. Another negative factor is that in this type of market the tax rate increase is passed on the final consumer via higher prices, which only exacerbates the circle described. The reduction of the possibilities of productive reinvestment of the surpluses not only conspires against the supply, it also tilts the balance towards the search for other more profitable alternatives in the informal sphere, or in activities of lower creation of value but high possibility of capture of rents, like speculation with assets such as homes and cars. Informality itself is the source of countless undesirable effects, including the fact that it exacerbates inequalities. 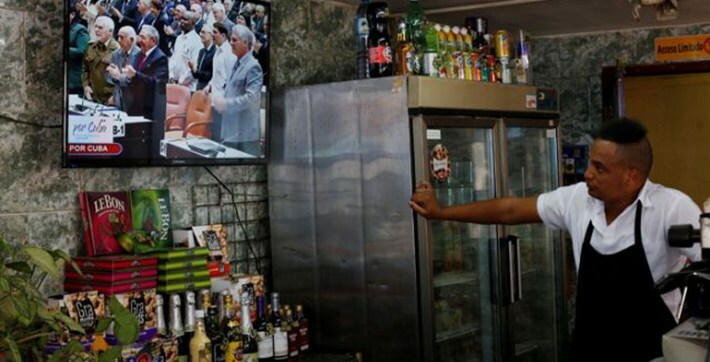 The additional limits to links with state enterprises undermine the internal integration of the economy, one of the historical weaknesses of the Cuban economy. In any case, the resulting framework clarifies the priorities of the current economic policy. In the absence of capital, Cuba is betting on two things for the implementation of private small- and medium-sized enterprises. One is the resumption of negotiations to open new markets for professional services, especially health services. The international environment has improved slightly, given that the increase in the price of oil improves the fiscal position of countries with which close relations are maintained, together with other very dynamic economies. This type of agreement results in appreciable short-term revenues, which can be used quickly by the government. The other variant has to do with foreign capital. Although the regulations and the business environment in the country have a long way to go to reach the best international standards, there is an increasingly explicit recognition of the importance of attracting foreign capital, which is attributed greater capacity to to alleviate the current balance of payments’ crisis and to give greater dynamism to the economy in the medium and long term. All this at a lower political cost in relation to domestic private capital. However, investors will always seek at least a minimum level of certainty and credibility. And if self-employment has suffered a setback, why not foreign investments also, they might ask. These decisions become convoluted. If there is no clarity here, it is more difficult to convince others that this will be the case in their particular area of interest. Anyway, it would be necessary to look carefully in the annals of modern economic historiography to search for a strategy of growth and development where foreign capital is so clearly favored over the national. If we find it, surely it will not have finished very well. Since it does not transcend. There is no indication that there is a long-term vision for self-employment, or the private sector in general, although it was recognized in the “Conceptualization” adopted in 2017. The lack of confidence shown in its implementation has significantly affected it. And the argument that there have been deviations is hard to sustain. Surely there are problems, and there will always be problems. But the solution is not a return to the starting point. Perhaps the biggest problem is facing young people in Cuba. It is hard to imagine how this can be seen as a good idea that projects a future of progress on the Island, which only adds to the grave and unsustainable problem of the drainage caused by emigration. The emergence of a private sector, as demonstrated in the Cuban experience, is a requirement for the development of the productive forces. Those who examine the historical evidence in detail will immediately notice that the evidence is overwhelming in the sense that in the long run the advance of the productive forces is the decisive criterion that determines the success of one model over another. The rest of the factors can be grouped in accelerators or retarders of this essential line. Of course, this contradiction does not have to be solved in the short term, not even within the prudential period of a generation. I’m just not sure if we have the time. Ricardo Torres is a Cuban economist who lives in Havana.